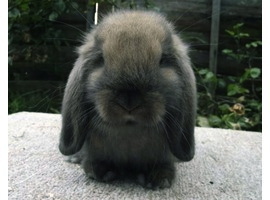 I used to have a dwarf lop eared bunny rabbit named Donnie Uggboots. He was a gift from a few friends (I have been given a few pets as gifts in my life) and he was so ridiculously cute it was hard to believe he was real. Until he bit you that is! Ha rabbits are funny pets. I toilet trained Donnie, but they don’t love to cuddle for long, they have short attention spans and no emotions, so they’ll cuddle and then nibble and it hurts! This weekend I am going to make a bunny doll, I’m drawing the pattern as we speak. If it works I will be making a few dolls, as I know a number of little new babies or babies with birthdays and I want to give them all cuddly un-nibbley bunnies. I’m going to make a simple pattern I think, hopefully all one piece. I’ll let you know if I succeed or fail shortly! (This is when I particularly wish my Mum lived close – she’s a master sewer, especially of dolls.) I’ll share the pattern too. Hope you’re having a happy weekend so far. With power if you’re on the east coast.